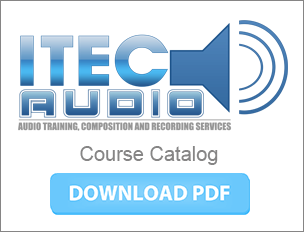 This course takes you through Logics powerful advanced features covering everything from production, editing, and mixing. Throughout the class professional secrets are revealed regarding how to streamline production workflow, accelerate editing tasks, effectively manage takes, and construct a mix that will meet the most exacting standards. We use project-based learning in the digital workplace as replicated in our digital recording studio to discover powerful techniques for songwriting and audio recording while exploring the limitless potential of Digital audio instruments. Students will write and record original songs and get a taste for the creative process in a professional fast paced studio environment.